Chinese Gold Ingot | Historic Jacksonville, Inc. 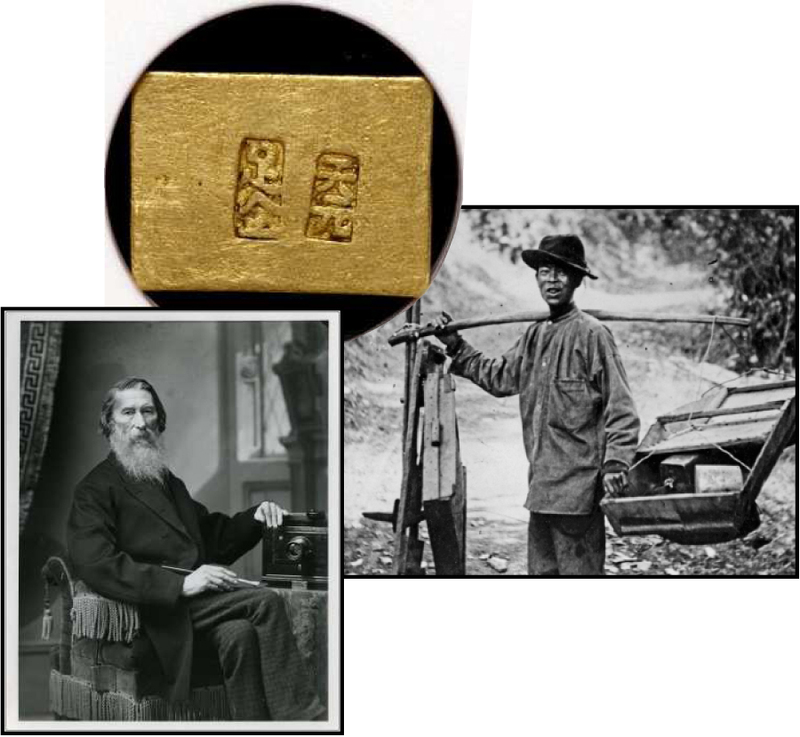 This small gold ingot was made from gold dug in Jacksonville by Chinese miners who camped on property owned by photographer Peter Britt. At a time when most Westerners treated minorities poorly, Britt was noted for his friendly dealings with the Chinese. The miners refined, cast and presented the ingot to Britt around 1854. The characters translate as “Heaven Original” and “Sufficient Gold.” At the time coins were in limited supply and most business was done by barter or by payment in gold. The ingot may have been payment to Britt or a token of appreciation.